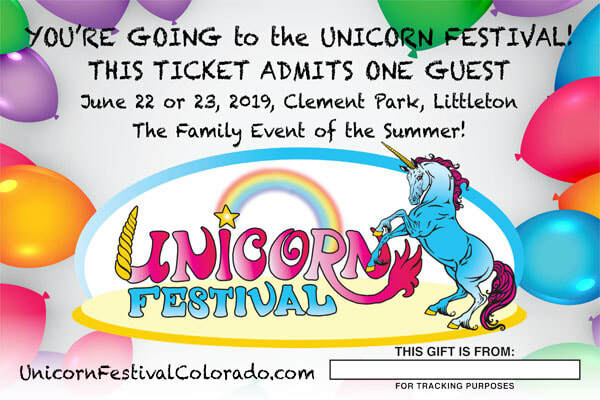 Give the gift of unicorn magic! 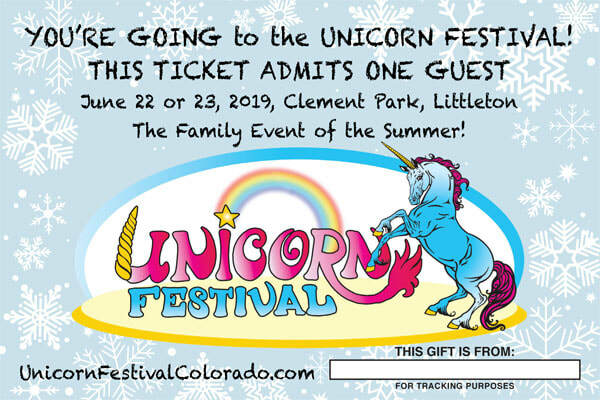 Unicorn Festival tickets are a perfect gift to warm up the holidays - or for birthdays or any special occasion! Not only is is the BEST WEEKEND OF THE YEAR .... the lucky gift-getter will be able to look forward to it for months! Be sure to put the PURCHASER'S NAME in the box at the bottom - so we can track the ticket when it's turned in! Let the recipient know WHEN THE TICKET IS FOR ... which day and time! Or click the Download link below to download a pdf of the image to print out.